The 2019 GMC Sierra 1500 Limited pickup truck delivers the muscle to get every job done. Whether you’re transporting equipment to the worksite or hauling the family camper for a weekend excursion, this light-duty pickup can handle the elements for safe and secure travels. Learn more about what the Sierra 1500 Limited has to offer. The standard 355-hp 5.3L EcoTec3 V8 engine under the hood of the Sierra 1500 Limited can tow up to 9,400 pounds, while the EZ Lift and Lower Tailgate and CornerStep rear bumper make it easy to access to the truck bed, which has a maximum payload of 1,800 pounds. Trailering tech, like Trailer Sway Control and Hill Start Assist, make transporting heavy hauls easier and safer. Plus, you can monitor your trailer using the rear vision camera system and 7” or 8” digital touchscreen. GMC makes it easy to stay connected on-the-go. Access Apple CarPlay™ and Android Auto™ with the sound of your voice or on the digital touchscreen to call home, stream music from your smartphone, follow navigation directions, and more. Download the available MyGMC mobile app on your compatible smartphone and enjoy convenient features right at your fingertips. The app can locate your vehicle in a busy parking lot, remote start the engine, and check vehicle diagnostics such as fuel economy and tire pressure. To help you and your passengers feel safer en route, the 2019 Sierra 1500 Limited offers available OnStar®. Features include Automatic Crash Response, Emergency Services, Stolen Vehicle Assistance, and Roadside Assistance. In the event of an accident or an emergency, press the OnStar® button on your rear-view mirror for immediate assistance. Looking for new GMC cars for sale? 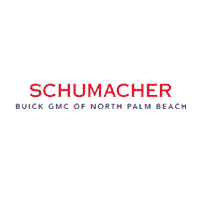 Browse a selection of capable models at Schumacher Buick GMC of North Palm Beach today. Find the 2019 GMC Sierra 1500 Limited for sale in North Palm Beach when you visit our dealership on Northlake Boulevard.